Painted gold from head to toe and unaware of humiliation or cold, two gilded Cherubs take to the street on golden scooters innocently interacting and spreading divine mayhem. The Cherubs court the banal and the profound, creating the most surreal images on their journey. 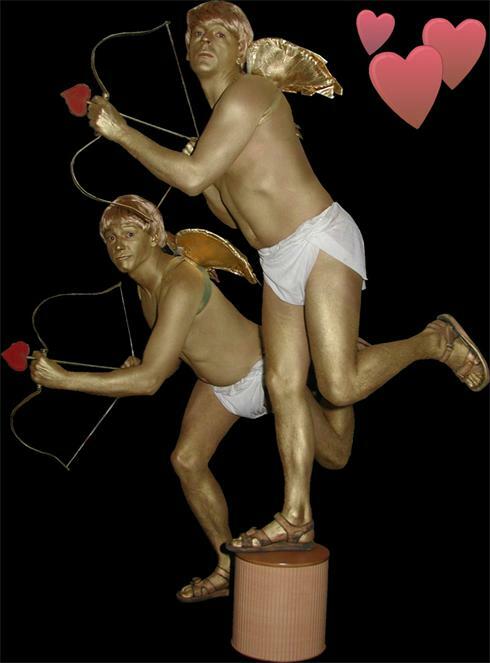 The Walkabout Cherubs are brilliant characters for shopping centres or Valentines themed events. 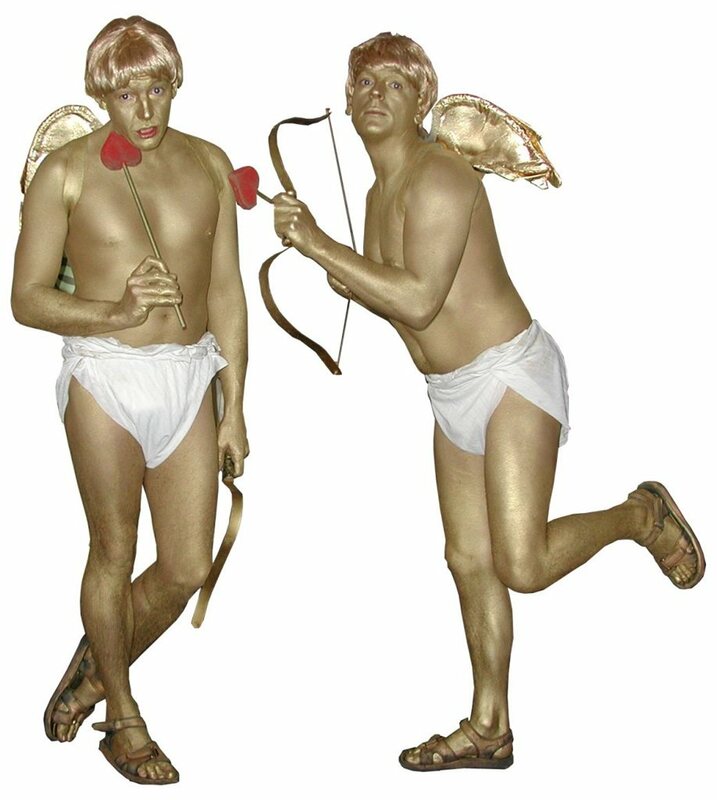 These two cherubs will entertain with joviality, leaving their audience bemused and amused! 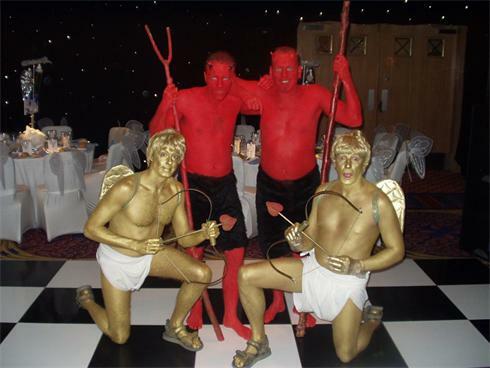 The walkabout Cherubs have worked all over the world indoors and out for festivals, corporate and private clients.